Whether you just bought a new house or you've been living in yours for 30 years, chances are you want to protect your home and everything in it. But home insurance doesn't always cover everything. That being said, here are some insurance riders you might need to protect your home. 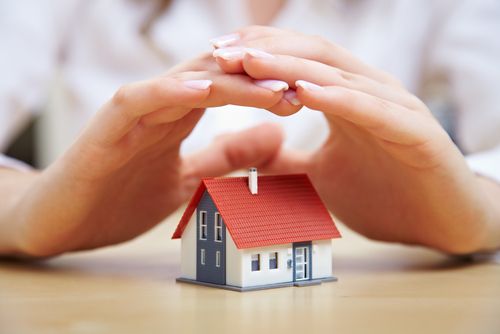 The personal property coverage under a standard home insurance policy is full of limitations. For example, some types of personal property are covered, but only up to a specific amount and that amount may be only a fraction of the actual value (i.e., jewelry, firearms, collectibles, money, etc.). Additional coverage for the full value of such property may require a home insurance rider. Coverage for computer equipment and data is often limited by standard homeowners insurance. You may need to purchase a home insurance rider for additional coverage. More than 20 percent of American households double as a business headquarters. Standard homeowners insurance is very limited on coverage for property used in business operations. Most policies are more restrictive toward business-related liability (i.e., a customer is injured while in your home), often excluding such claims altogether. If you operate any form of business out of your home, consider adding a business-based home insurance rider to your policy. If you own another home that is used as a secondary residence or rental property, you may be able to obtain coverage for that property by adding a rider to your current homeowners insurance policy. If available, this method may be cost effective versus separate policies for each property. A backed up sewer or drain can cause significant damage to your home. This type of loss may be excluded under your homeowners insurance. If so, a home insurance rider may be necessary to add this coverage. Coverage under your insurance policy may be limited for theft of personal property. A home insurance rider may be available to increase coverage for loss caused by theft. If you aren't sure what your home insurance policy covers, we encourage you to check it out ASAP.